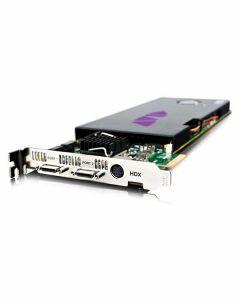 Pro Tools | Ultimate — Pro Tools|HDX is the new generation of Pro Tools | Ultimate, providing more power, higher audio quality, and easier ways to record, edit, and mix the most demanding productions. Get more tracks, more headroom, and up to 5x more dedicated DSP power to tackle even the most massive music and post-production projects with the confidence that comes with guaranteed performance. Does not include any Pro Tools Ultimate software - designed to be used in addition to existing Pro Tools HDX core systems. Pro Tools | Ultimate—Pro Tools|HDX is the new generation of Pro Tools | Ultimate, providing more power, higher audio quality, and easier ways to record, edit, and mix the most demanding productions. Get more tracks, more headroom, and up to 5x more dedicated DSP power to tackle even the most massive music and post-production projects with the confidence that comes with guaranteed performance.